Volunteer work relies on communication and organization; it’s important to have a volunteer work calendar that’s as reliable and helpful as you and your team. Volunteers all over the world use their skills, their resources, and their time to help and serve others. We’re always thrilled when Teamup is part of the good things that people are doing. Read on to find out how this brave and unique group of people uses Teamup as a volunteer work calendar that helps them to help their community. GW4x4R is a non-profit, voluntary organisation and member of 4×4 Response UK. The GW4x4R members offer their time and use of their own 4×4 vehicles to provide support and assistance across the region. 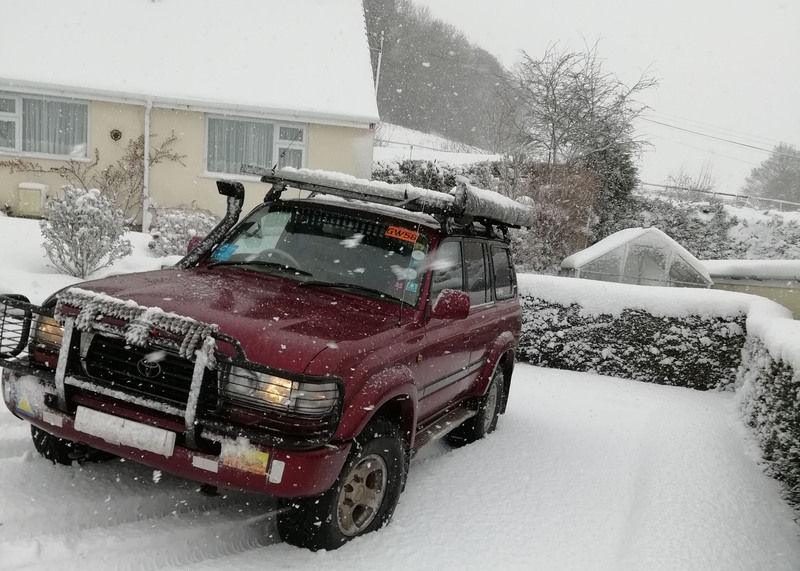 They support the community, especially during adverse weather, by providing voluntary, 24/7, four-wheel-drive support and assistance to the Emergency Services, Civil Authorities and other essential services in Gloucestershire & Worcestershire. Lead Controller Rob Wilson shared how GW4x4R uses Teamup to coordinate their efforts when snow, ice, flooding, or other adverse weather conditions are imminent. This screenshot of our calendar shows how we used Teamup during a recent three-day snow event. We have 9 controllers and each one has their own calendar. When snow or floods are imminent we go onto “Standby.” The controllers should then enter periods when they are unavailable. One of us then decides which of the available controllers will be duty controller (blue calendar). We use 10 calendars in total: one for each controller, and one for the duty controller. We all have modify-from-same link access. Some of us have access to the calendar’s admin link so that we can modify the calendars and calendar settings if needed. 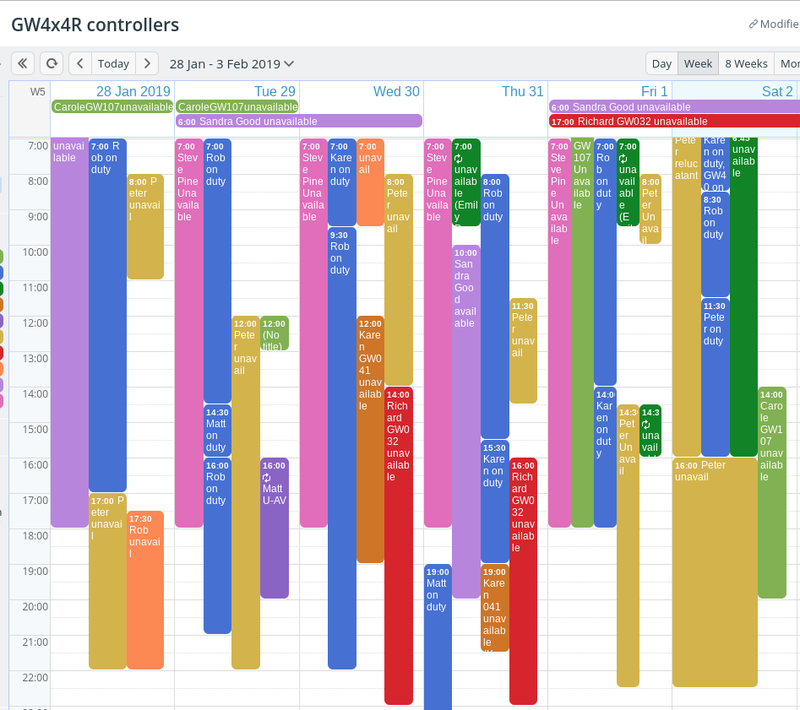 When we add another controller, we add one more sub-calendar to maintain our calendar setup. Having Teamup reduces the amount of to and fro messages that would otherwise be needed. It does save a lot of stress and time during what is often a very busy time for us. For the team at GW4x4R, being able to easily track availability is key to dispatching help across the region when it is needed. Color-coded sub-calendars help them to quickly see who is unavailable and who is open, so the duty controller can make decisions, organize help, and keep everything on track. When your community is relying on you, it’s important to be able to work efficiently and get things done. Thanks to Rob Wilson for sharing your story!